Telehealth use rose by more than 50% from 2016 to 2017, according to a new white paper by Fair Health. For the annually released paper, data was collected from the company's records of 28 billion commercial insurance claims, which showed that telehealth utilization grew nearly twice as fast in urban areas vs. rural over that span. "Telehealth has become a rather prominent source of service for mental health conditions," said Fair Health president Robin Gelburd, adding that telehealth is breaking down the barriers to mental healthcare related to stigma and access. "Telehealth is almost like a living laboratory as the policies and regulations get developed." Per the report, "Telehealth usage has continued to rise as more states and regions implement laws facilitating it." Telehealth use in rural areas increased from 2012 to 2017 by 482%; the urban increase was 1,289%. In the single year from 2016 to 2017, rural growth was 29% and urban growth 55%, compared to the overall national growth of 53%. In 2016, the states with the greatest number of claims lines with telehealth usage were Massachusetts, California, Texas, South Dakota and Minnesota. In 2017, the top five states for telehealth claims as a percentage of all medical claim lines were Oklahoma, Wyoming, Ohio, Hawaii and West Virginia. None were among the top five states in 2016. The bottom five states in 2017 for telehealth use as a percentage of all medical claim lines, in order from least to most, were New Jersey, Rhode Island, Nebraska, Connecticut and South Dakota. South Dakota was among the top five in 2016. Most people used retail clinics in 2017 for respiratory infections, which aligned with 2016. Those were followed by exposure to communicable diseases, general symptoms, ear infections, examinations and urinary tract infections. For urgent care centers, utilization grew 1,434% from 2008 to 2017, more than seven times that of EDs. 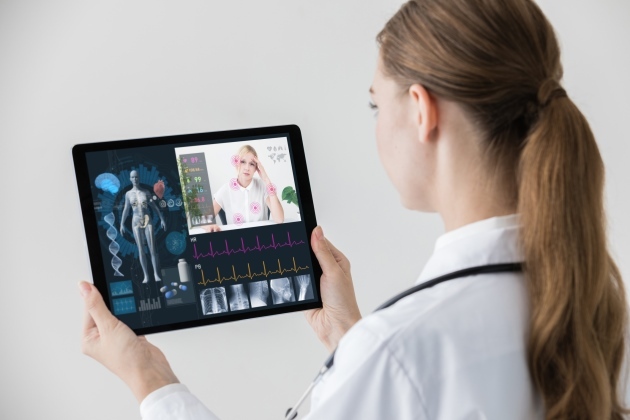 As in 2016, telehealth was most associated with individuals aged 31 to 60, who accounted for 44% of the distribution of claim with telehealth usage in 2017. Their share was smaller, however, than the previous year’s 56%, the Fair report says. The age group 23 to 30 made up 10% of the distribution in 2016, but 12% in 2017. Women use telehealth more than men in every age group except children aged birth to 10. The average differential across all age groups was 56% female to 44% male, which was slightly less than the typical 60%/40% female/male distribution seen in all medical claim lines. This year’s edition of the report shows that national utilization of alternative places of service continued to grow from 2016 to 2017, but at different paces.